Recently I had two opportunities to take pleasant steps into the past. One was by visiting my favorite sites at Itasca State Park; the other was to look for the site of an early resort near Park Rapids. The occasion developed when my wife’s high school classmate and longtime friend Kay visited us for an annual get-together in Little Falls. Kay’s brother Dave acted as her chauffeur since health reasons prevented Kay from driving. 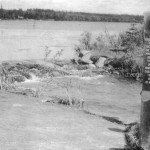 With nothing specific to do, Dave had hoped to visit Itasca State Park, as well as to possibly find “Erve’s,” a former resort on Little Sand Lake, near Dorset. As a young boy, he had spent several summer vacations at the resort with his family. Dave taught architecture at Iowa State University in Ames, Iowa, and is now retired. I had not met him before, but we got along immediately and shared similar interests. 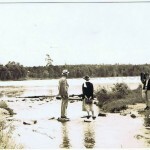 I knew he would be especially interested in the rustic and Civilian Conservation Corps (CCC) era architecture at Itasca State Park. I looked forward to showing him Itasca’s historical architectural showpieces, including Douglas Lodge, Forest Inn, and The Old Timer’s Cabin. 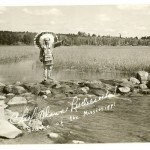 And of course, he wanted to cross the Source of the Mississippi on the slippery rocks. 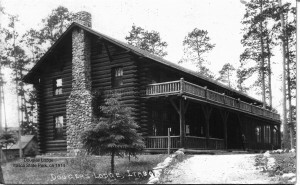 Douglas Lodge, built in 1905, has a rustic log style adapted from the buildings of the National Park Service (photo below). It is always exciting for me to visit it as well as to see the old growth red pines that I played under as a young boy. We followed a path from the lodge down to Lake Itasca, then along the shoreline over a walkway until we reached one of the most unique cabins you will ever find: The Old Timer’s Cabin. It was the first one constructed by the CCC in 1934, with logs so huge, only four were needed to reach the eaves (photo below). Forest Inn, across the road from Douglas Lodge, is probably one of the best examples of 1930’s Depression Era architecture (photo on left). It is worth your time to go inside to shop (my books are sold there) and to examine the beautiful and unique way wood, stone, and iron can be combined to blend with the natural environment. 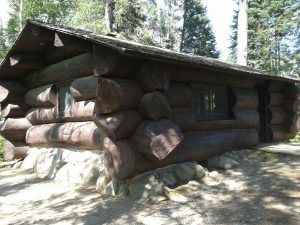 It was built between 1939 and 1941 by the Veterans Civilian Conservation Corps, who were highly skilled in working with logs and stone. 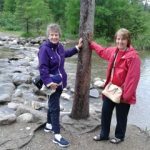 After returning to Douglas Lodge for a delicious dinner of Red Lake Walleye, we made our way to Little Sand Lake in an attempt to find “Erve’s Resort.” By chance, we chose one of the many similar driveways leading down to the hidden lake. As we approached a steep grade, Dave began to recognize what had once been the site of his summer fun as a boy. Only one of the original log buildings remained. We parked the car, then trespassed a little to get to the shoreline. We visited with a young couple, one of several who vacationed in summer homes. 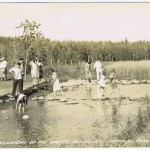 Their school-age children and friends were at the dock, enjoying the water, said to be the cleanest and clearest in Minnesota. The scene, on the site that had once been Erve’s Resort, brought back many fond memories for Dave. 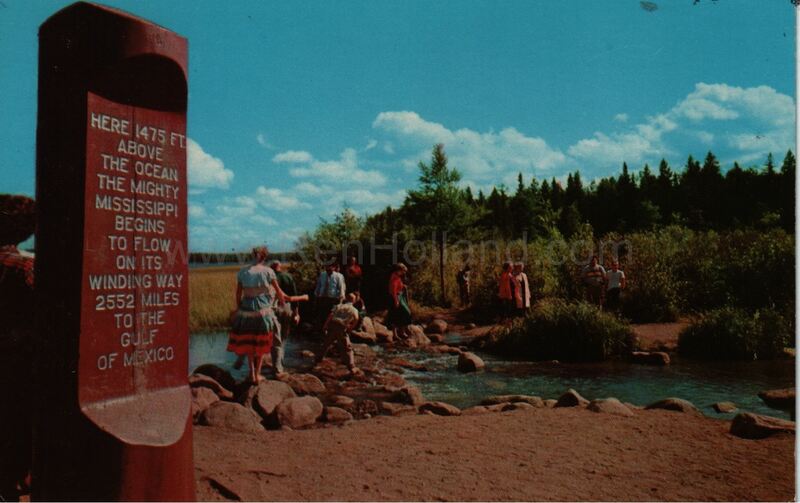 What about the other eight Little Sand resorts of the 1950s–Norton’s (Greendale Resort), Shoreham, Camp Mirimichi, Wingard’s, Anglers Wood, Northern Star, Paulette’s (now Zorbaz Restaurant), and Little Sand Lake Resort? Not a single resort is advertised for Little Sand Lake. None. Their demise is likely attributed to the spike in real estate values, fueled by demand for the lake’s high-quality water and sandy shoreline. Those of us who would like to visit the family resort that we enjoyed as a child or as a new parent, might prepare for a disappointment: The resort may no longer exist. There are less than 800 remaining of the nearly four thousand resorts that existed in the peak years of the 1950s and 1960s. We would be lucky to find one of the few that has persisted, flourished, and perhaps even retained some of their characteristic historical structures. Fortunately, our country has state and national parks, as well as historic and natural landmark recognition. They can provide stability and an enlightening step into the past by preserving natural features and architecture that will likely be there whenever we return. For more history on Itasca State Park’s historic buildings and sites, click here to visit the Minnesota Historical Society. 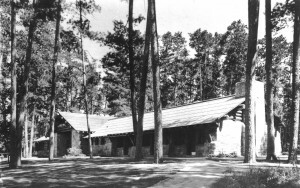 This entry was posted in All blog entries, EDGE OF ITASCA stories, Minnesota Resorts and tagged Douglas Lodge, Forest Inn, Itasca State Park, Mississippi River Headwaters, Old Timer's Cabin. Bookmark the permalink. As I recently happened randomly upon your website / Blog a few months ago… you did at once, instantly transport me back to my beloved adolescence – a personal BIG thank you there! My adolescent summers were spent being active in the many lakes / rivers around the area – Spirt Lake in Menahga, or the local Red Eye, Crow Wing River(s) – swimming, boating, etc. Being outdoors was the only life that I knew… magical! For sure at least once a week in the summers, my Folks would bring us to the “Big City” of Park Rapids – so we could walk the unique Main Street – always parking in the middle of the main street was such a fun think to do~! Plus… then getting some original Rock Candy, Taffy, etc. from the Candy Shop – it made made the “long-journey” of 15-miles well worth it~! Then… we’d always continue north – our first to visit was always ‘Deer Park’ – I remember climbing the ‘massive’ 100’ Tower – it was an adventure of its own… yet always making sure that we have some corn to feed the deer too~! 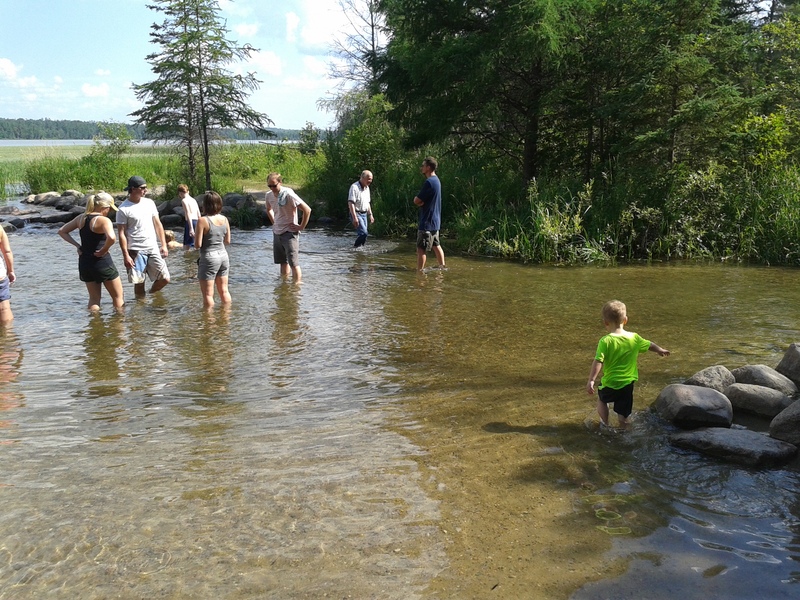 The main Goal in the summer was always to go to Itaska State Park – as to have a picnic, wander around, cross the Headwaters, take a ‘Pee’ in the Mississippi (when no one was looking!) laughing that it would go all the way to New Orleans! The Lodge was amazing… so sad to see it fall wayside over the years… God, that place was magical! Driving in… said it “all”! Accomplished getting them Rock Candy, plus seeing all of the numerous stores/sites on Old Main… magical! Headed a few miles north to the old Deer Park location and told them of my childhood adventures there,,,, guess they got at least a bit of it.. Turned around and headed back into Town and ventured to find Val Chatel – I took the “old-way” to get there (if you can remember, that was only via the road prior to the new “fancy-one”) – seeing all the stately Birch Trees brought about a drenching of memories for me… beautiful! The Golf Course still looks awesome! 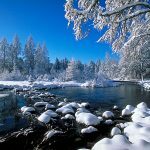 Eventually I found our way to the original dive way for Val Chatel – remembered then your prior writings about this most unique MN location… it was, it is… MAGICAL! What a place of history, glamor, stature, long-lost-passionate affection of the past…. Thanks so much for sharing your family history. I hope to write a Val Chatel blog post someday if/when a family shares an extensive photo collection.